Sichuan is located in the upper Yangtze River valley, in the southwestern part of the country. Sichuan is bordered by Gansu and Shaanxi to the north, Hubei and Hunan to the east, Guizhou and Yunnan to the south, and Tibet and Qinghai to the west. At an area of over 480,000 square kilometers, Sichuan is one of China’s largest provinces, and is only slightly smaller than Spain. Sichuan means ‘Four Circuits’, which is an abbreviation of Sichuanxia ludong -four circuits of rivers and gorges- the province’s full name. Sichuan’s capital city is Chengdu. Sichuan was incorporated into imperial China during the third century BCE after smaller kingdoms were finally conquered. Sichuan was the first southern area of China to be settled by the Han, which comprise about 92% of China’s population today. 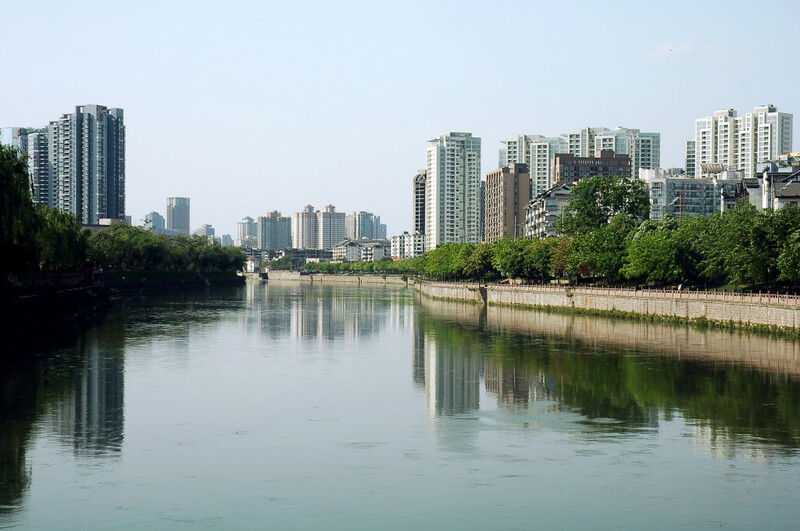 During the third century BCE, brillant architect Lin Bao built the Dujiangyan Irrigation Project designed to stop flooding on the Min River; the system is still in use today after 2200 years. After the founding of the Chinese Republic in 1911, Sichuan’s governmental control fragmented as warlords fought for control of the province, causing devastation in the area. It wasn’t until 1935 that the Nationalists succeeded in securing its reunification. During the 1937-1945 Sino-Japanese War which led into World War II, the Nationalists retreated to Sichuan after losing control of China’s east coast to the Japanese; as a result, the province began rapid economic development. Sichuan continued to develop industrially after the founding of the People’s Republic of China in 1949, yet this development was set in reverse during the 1958-1961 Great Leap Forward during which time Sichuan lost an estimated 13% of its population in the resulting famine. Sichuan is one of China’s most densely populated provinces. It has a population of over 81 million, approximately 34 million more people than Spain, living in roughly the same square area. Sichuan’s residents are highly diversified. The majority are Han. Many ethnic minorities also reside in the area including the Yi, Tibetans, Miao, Tujia, Hui, and Qiang peoples. Most Han inhabit the province’s eastern basin. The Yi live in the Liangshan Yi Autonomous Prefecture in the southwest, while the majority of the Tibetans are dispersed through the western plateau regions contiguous to the Tibetan Autonomous Region. The Miao make their home in the mountainous area near Guizhou and Yunnan provinces, while the majority of the Hui live in the Zoigê Marsh grasslands of the northwest approaching Xinjiang. The majority of the Qiang live in Wenchuan county area alongside the Min River. Sichuan has a GDP of $465 billion, and a per capita GDP of $5707. Sichuan is one of the most productive agricultural areas of China, and the province exports a lot of what it produces. Rice, wheat, and rapeseed are Sichuan’s primary crops, although it also farms corn, sweet potatoes, sorghum, barley, soybeans, millet, and hemp. Sichuan is also known for its production of cash crops such as fruit, sugarcane, peanuts, cotton, tobacco, silkworm cocoons, and tea. The province is also a leading producer of cattle and pigs, and China’s second largest lumber producer. Often referred to as the land of ‘one million steps’, farmers in Sichuan utilize all available arable land, through extensive terracing and irrigation. These hillside terraces come in all sorts of shapes and sizes and are built on even very steep slopes. The terraces are irrigated by techniques dating back hundreds of centuries. A common irrigation technique is dongshuitian, meaning winter water-storage field system. Terraced fields are left fallow during the winter season to store water needed for the rice fields in the spring. From above, the stored water can seem like a beautiful mosaic of shattered mirrors. Sichuan is also a major area for mining. 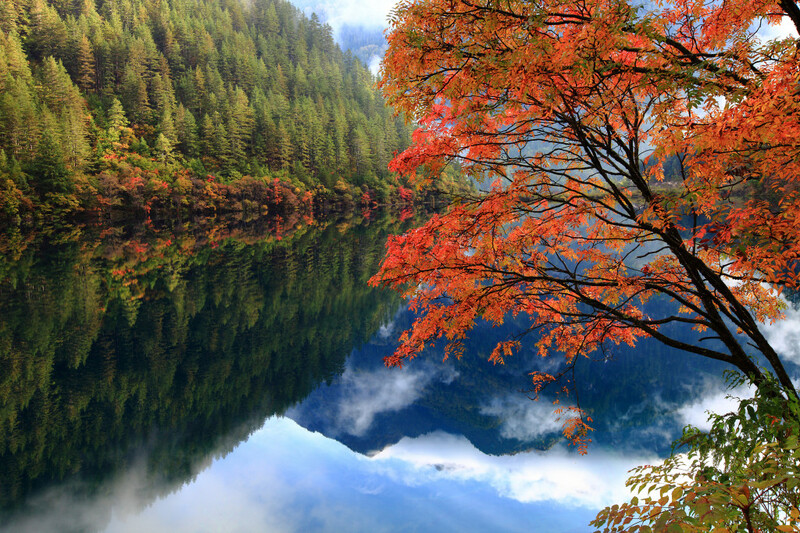 Known as the “Province of Abundance”, Sichuan contains over 130 different mineral resources. 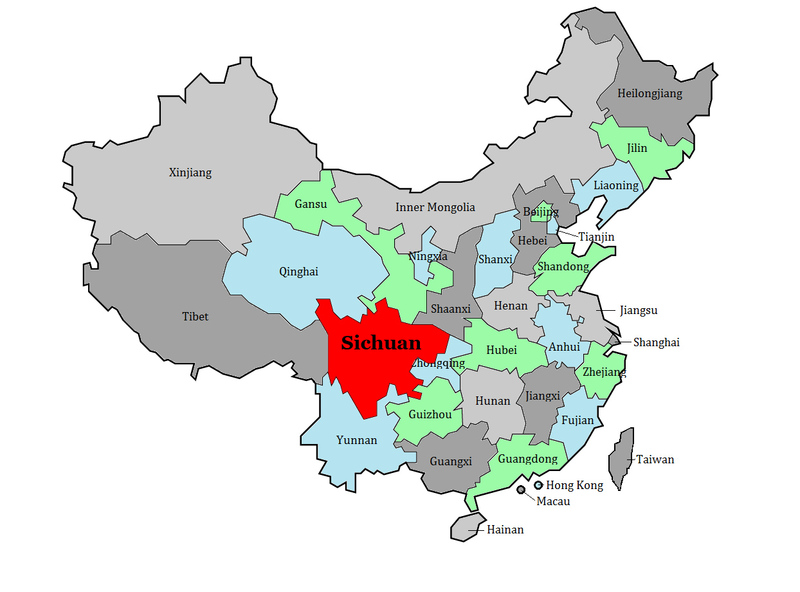 Sichuan contains some 90% of all titanium, 70% of all vanadium and 80% of all cobalt in China. It also has large deposits of iron, copper, aluminum, platinum, nickel, lead, zinc, coal, petroleum, antimony, phosphorus, asbestos, and marble. The production of brine salt is the province’s largest mining activity. It also has abundant natural gas. Sichuan’s most important industries include iron and copper smelting, the production of building materials, machinery and electric power, coal mining, petroleum refining, and the manufacture and processing of chemicals. Sichuan also produces electronic equipment and textiles, including silk. It is also a center for aerospace and military defense industries. Tourism is also a major economic earner of the region. Many come for the food as well as the attractions. Sichuan is renowned for its hot, spicy food, which liberally uses hot chili peppers, garlic and ginger. Sichuan is surrounded by mountains – to the north rise the Qin or Tsinling Mountains stretching east to west with elevations between 3,400-4,000 metres; to the northeast are the Daba Mountains reaching approximately 2,700 metres; to the east are the Wu Mountains, rising to 2,000 metres and encompassing the Yangtze Gorges; to the south are the Dalou Mountains growing to between 1,500-2,100 metres; and to the west are the Daxue Mountains of the Tibetan borderland, rising to 4,400 metres. Within these mountains, Sichuan can be divided into two eastern and western physiographic sectors. The east is a hugely fertile, and is home to Chengdu, Sichuan’s capital and to the Sichuan basin from which the province gets its name. The Sichuan Basin is also known as the Red Basin, due to the large deposits of shale and red sandstone that give it its color. Sichuan basin is characterized by low, rolling hills interspersed with high ridges, floodplains and valley flats. The largest area of relatively flat land within the basin is the Chengdu Plain, the largest plain in southwestern China. 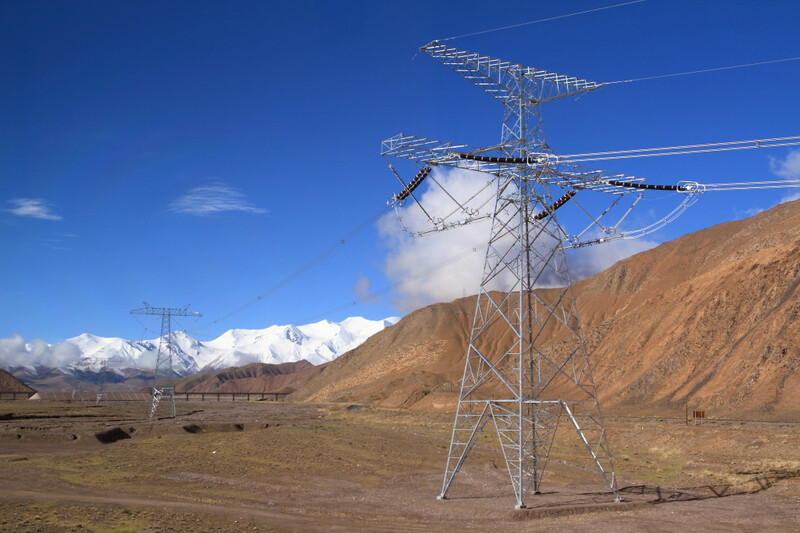 The west, otherwise known as Chuanxi Plateau is an elevated area composed of valleys, snow-capped mountain ranges, glaciers, marshes, tablelands and grasslands that form the far eastern part of the Tibetan Plateau. At a height exceeding 7500m, Sichuan’s highest mountain Mt. Gongga, also known as Minya Konka, is located in this western area. The Yangtze River flows both through the mountains of the west and the Sichuan Basin in the east. Sichuan province rests in an area of high seismic activity. East Sichuan lies on a relatively small crustal block that is being compacted by west Sichuan. West Sichuan, in turn, is being moved eastward by the constant northward shifting of India against southern Asia. 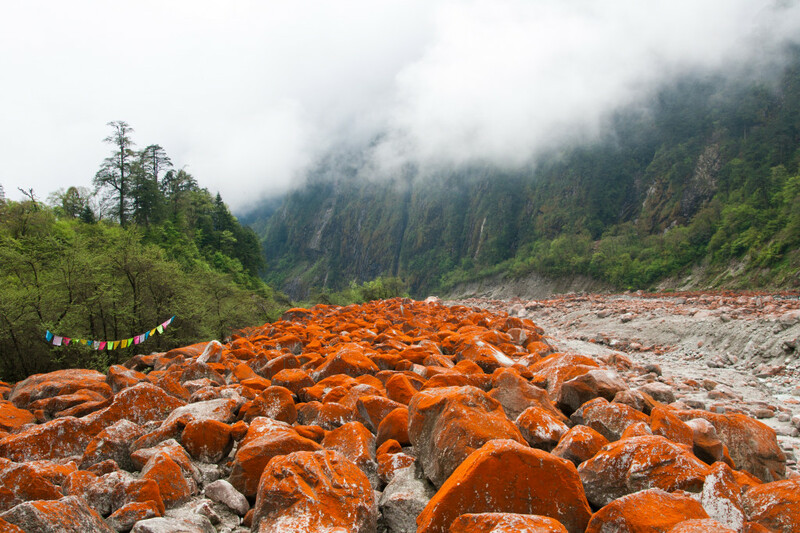 This compacting, shifting activity has caused many earthquakes in Sichuan over the centuries. A 1993 earthquake killed 10,000 people. The 2008 Sichuan earthquake was centered over the city of Dujiangyan, about 80 km west-northwest of Chengdu and had a magnitude of 7.9-8.0. Strong aftershocks, some greater than magnitude 6, continued to strike the area months after the main quake. Official figures stated that over 69,000 people were killed, 374,000 injured, and 18,000 were listed as missing. About 4.8 million people were left homeless. Beijing has committed approximately $146.5 billion to rebuild areas destroyed by the tremors. More than 2000 years old, Chengdu has a population of over 13 million, making it China’s fifth largest city. Despite rapid development, it has managed to preserve some of its historical feel and hosts several large temple complexes including the cottage of Dufu, a shrine, museum and park celebrating the famous Tang poet who lived between 712-770; the tomb of Wang Jian – a Tang-era general; the Temple of Marquis Wu – built to commemorate a minister who lived 181-234 CE; the Dao Green Goat temple and the Buddhist Wenshu Temple. 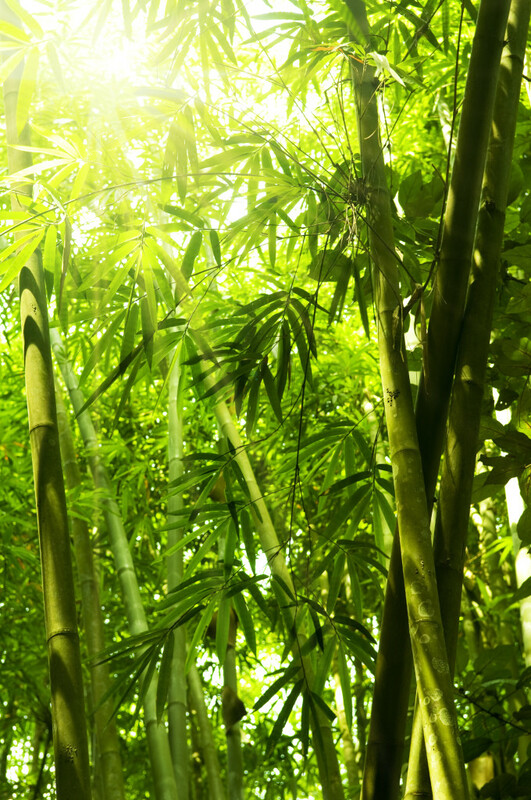 Also worth seeing is Wangjianglou, a park located along the banks of the Jin river, where more than 100 different varieties of bamboo grow. Chengdu is also known for its tea houses. Sichuan and Chengdu are famous for its Pandas which can be seen at places such as Chengdu’s Giant Panda Breeding Research Base. 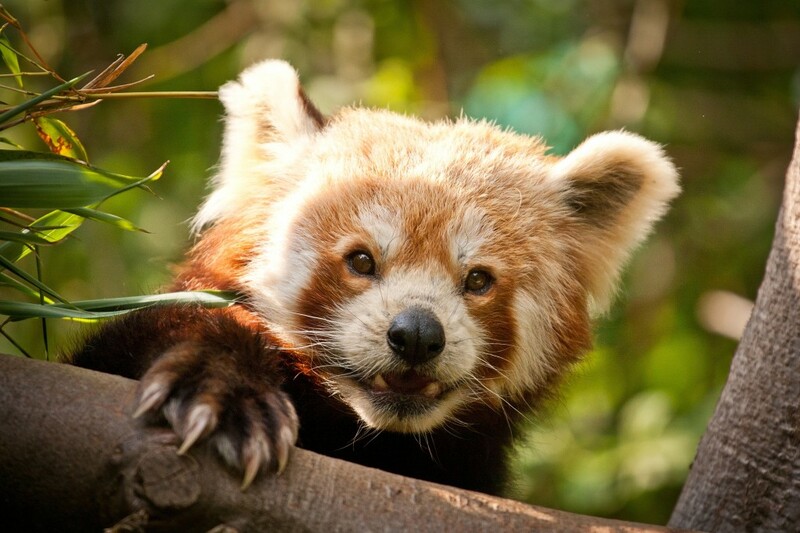 Inside the 80 acres in spacious enclosures, you can observe giant and red pandas. The Chengdu Panda Base is an ideal place both to see the animals, as well as to learn about their habits, habitats, unique traits (such as their opposable thumbs), and why they are such an endangered species. Other places to visit Pandas include the Bifengxia Panda Base which took in the Wolong Nature Reserve pandas when the site was extensively damaged by the 2008 Sichuan earthquake. Chengdu is a good hub for visiting the surrounding area. Fifty minutes by high-speed rail from Chengdu is Qingcheng Mountain, which has been a Daoist retreat for over 2000 years. The mountain is home to several temples, a few of which offer hospitality to overnight guests. The stop before Qingcheng Mountain on the high speed train is the Dujiangyan Irrigation Project. A two hour bus ride from Chengdu is the Sanxingdu Museum which houses two rooms of artifacts dating from the Shu Kingdom, one of the three major states that competed for power during China’s Three Kingdoms period. Three hours by bus from Chengdu is Liu Jiang. Its old town follows its way up both sides of the Yangcun River and is characterized by leafy Banyans, traditional wooden courtyard buildings and narrow stone alleys. Excellent hiking can be found outside he town. Five hours by bus from Chengdu is Langzhong, another traditional town characterized by black-tiled, overhanging roofs shading narrow, cobbled alleys. Mount Emei, a UNESCO site, is located in Daxiang Mountains. It is one of the four sacred mountains of Chinese Buddhism, and is also considered holy by Daoists. It also home to 3,200 different plant species. Close to Mount Emei is the Leshan Giant Buddha. The Giant Leshan Buddha was carved out of a cliff face overlooking the point where the Minjiang, Dadu and Qingyi rivers all join. It was constructed from 713 AD to 803 AD with the help of thousands of skilled workers, and stands at a height of 71 meters. The Buddha was labeled a UNESCO site in 1996. Western Sichuan is Tibetan in cultural and topographical feel where the softer mountains of eastern Sichuan give way to the jagged high peaks of the Tibetan plateau. Monasteries, traditional architecture, beautiful views, stunning hikes, alpine lakes are interspersed among both large towns such as Kangding and Danba as well as smaller villages such as Jiaju, Liangke Shu, Ganzi, Tagong and Zhonglu. The area provides a real sense of traditional Tibetan culture. Southern Sichuan is home to the riverside city of Zigong, one of China’s principal salt producing areas for almost 2000 years. 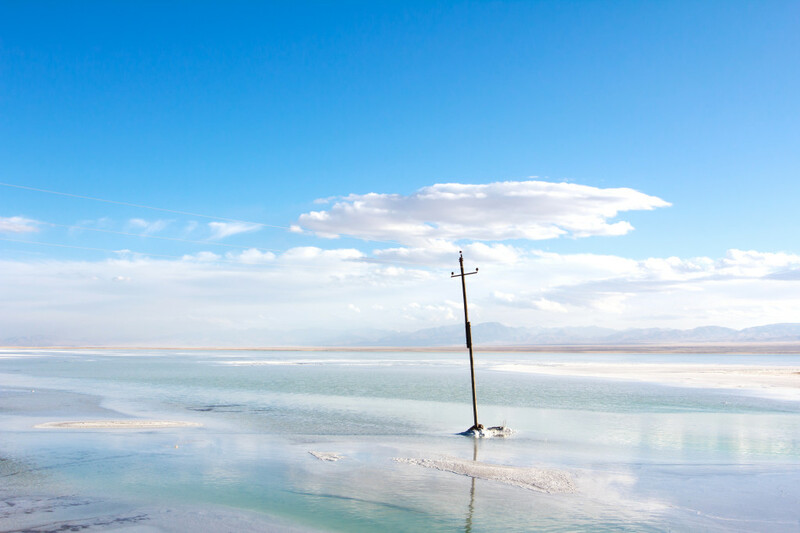 Interesting sites to visit include Zigong’s Shenhai Salt Well, the Salt Industry History Museum, the Dinosaur Museum and its many tea houses. Southern Sichuan is also home to the Bamboo Sea where more than over 400 different kinds of bamboo wave throughout the 120 sq mile park; well-established hiking trails pass by lakes and waterfalls as well as by a museum depicting the history and ecology of the area. 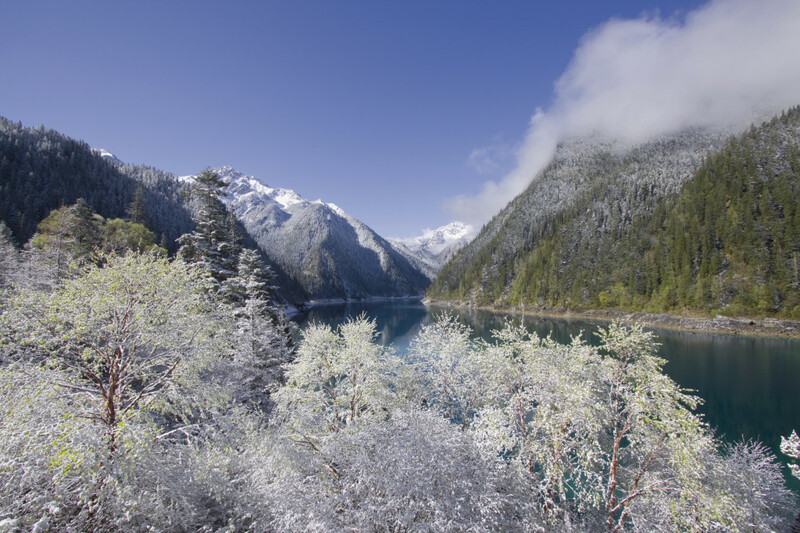 In northern Sichuan, the Jiuzhaigou Nature Reserve penetrates the beautiful landscapes of the Min Mountains. In a setting of multi-level waterfalls, springs, rivers, and rare plants and animals, the Nature Reserve offers hiking, horseback riding and a chance to visit the nine Tibetan villages in the river valley from which the nature reserve takes its name. The historic, hippy-feeling town of Songpan is the main stopping off point for those wishing to explore the area. Built originally as a Ming Dynasty garrison post, Songpan is now a bustling market town in which Hui, Tibetans, Han and Qiang communities all come together. 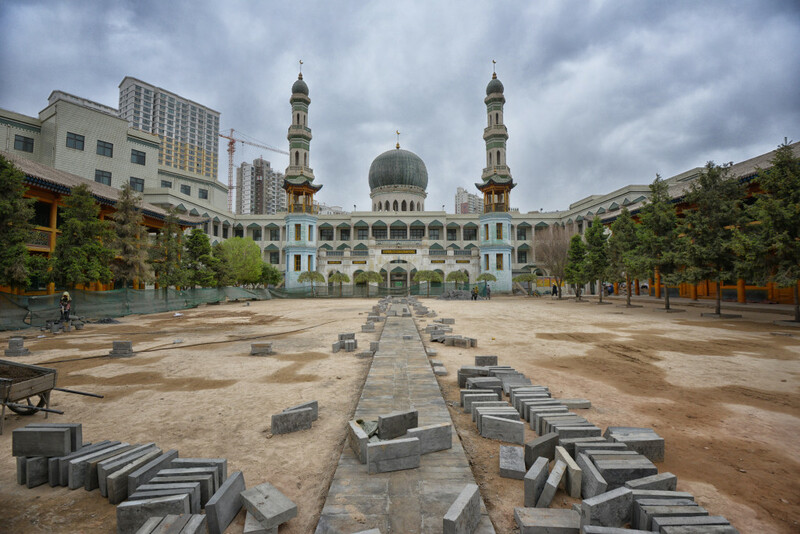 The town hosts two large mosques which in architecture resemble traditional Chinese temples.